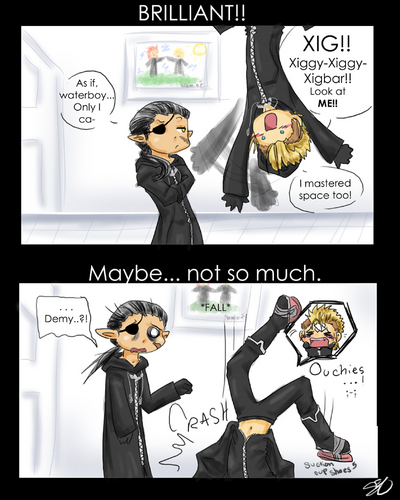 Demyx's अंतरिक्ष talents LOL!!!. Not mine... not mine.... HD Wallpaper and background images in the KH: Organization XIII club tagged: kingdom hearts demyx buddies. LOL!! i love the look on Xigbar's face!!! poor Demy! !